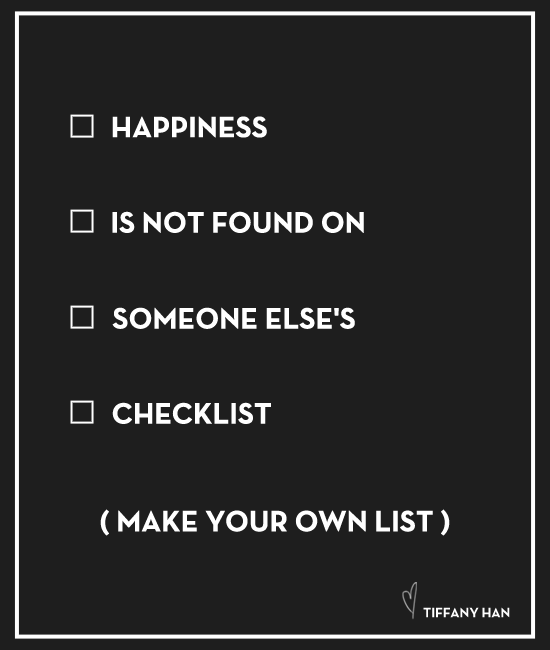 Don't forget: As an adult, you get to make your own checklist. YOU get to decide what makes you happy. You get to do whatever you want. Even if someone else disagrees.